Refreshing Mint Essential Oil in this Mint Lip Balm will moisturize the lips and freshen your breath. 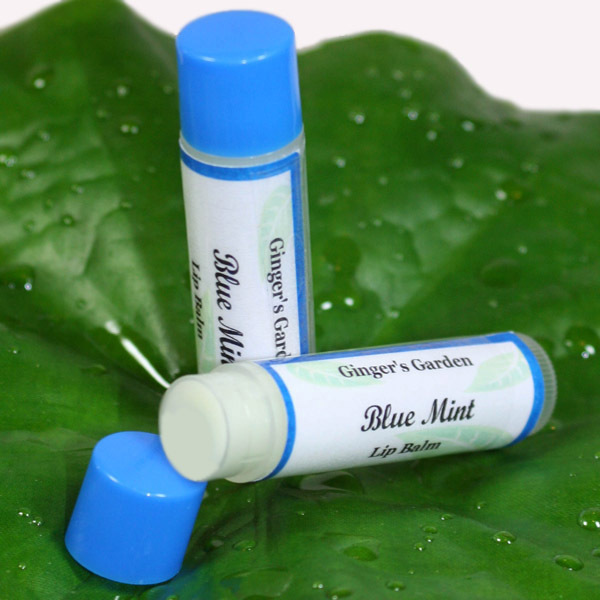 Natural Mint Lip Balm with essential oil of mint is perfect for dry lips! The mint will also refresh your breath. Comes in a swivel up tube. Use as often as needed. Each tube comes shrink wrapped for your protection. I make each lip balm in small batches to assure you that you will get a fresh product. Mint lip balm is lightly sweetened. This product might melt in extreme heat. It does not affect the formula. Just leave upright until it solidifies again. I have more lip balms in different flavors available. Ingredients: Soy Wax (Glycine Soya), Beeswax (Cera Alba), Almond Oil(Prunus Dulcis), Coconut Oil (Cocos Nucifera), Jojoba (Simonsia Chinensis), Mango Butter (Mangifera Indica), Vit. E, Mint Oil, Sucralose.